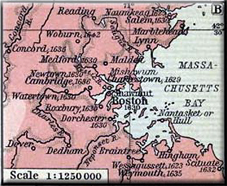 Massachusetts was originally designated as an area for the Plymouch Company to settle within. In 1620 the Mayflower named their colony after their sponsoring company. They were followed by the Mount Wollaston (later Merry Mount) colony which is near modern day Quincy. 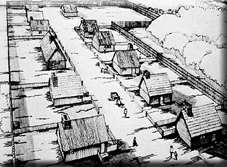 The Massachusetts Bay colony followed in 1629. Most of the early settlers were religious dissenters, eg Puritans, attempting to avoid the High Anglican/Catholic leanings of the Stuart Kings in Britain. There was a short lived experiment as the Colonies of Massachusetts Bay, New Hampshire, and Plymouth united as the Dominion of New England from 1686 to 1689. When this fell through, the Plymouth Colony merged with the Massachusetts Bay colony anyway in 1691. 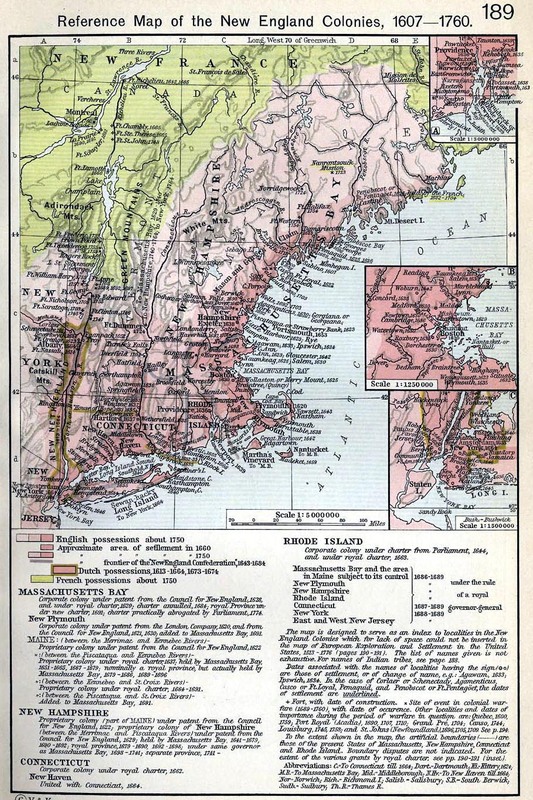 Massachusetts' borders were very vague and ill defined for most of the Seventeenth Century and even into the Eighteenth Century. In fact, Maine was regarded as part of Massachusetts colony from 1677 up until 1820 and Maine's borders were also equally ill defined! Boston would play an instrumental part in the Revolution.